Rountree Brady Insurance Agency, a full service insurance and financial planning firm headquartered in Savannah, Georgia, is announcing a grassroots charity effort on behalf of a young local girl named Jami Bassett. 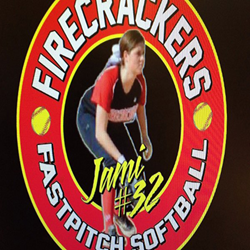 Previously, Jami spent her days playing softball, but she was injured in a recent accident and has been told she is now paralyzed from the waist down. To make Jami comfortable she will require new equipment, specialized home renovations, and frequent travel expenses, as well as the costs associated with ongoing medical and rehabilitative care. “Jami is a fighter, she always has been, and with the help of our community she will find a way through this difficult time and come out the other side stronger for it,” says Mickey Rountree, owner and manager of Rountree Brady Insurance Agency. To share Jami’s story and gather support from families, community leaders, and business owners in the region, Rountree and his team are creating an online social media portal and launching an email update bulletin system. Rountree Brady Insurance will also be creating a full page article featuring Jami’s charity event in the next issue of the firm’s online community interest magazine “Our Hometown”: http://www.rountreebradyinsurance.com/Our-Hometown-Magazine_41. The charity drive for Jami Bassett is only the latest of many undertaken by the Rountree Brady Insurance team. As part of an ongoing community involvement program called “Agents of Change,” the firm plans to continue finding and supporting even more Georgia charities in the future, at the rate of one every 60 days. Readers that would like to join the Rountree Brady Insurance team for the Jami Bassett charity event are encouraged to visit this page and make an effort to support Jami in her time of need: http://www.rountreebradyinsurance.com/Helping-Jami-Move-Through-Life-After-The-Accident_23_community_cause. Readers that want to know more about charities, organizations, and causes supported by Rountree Brady Insurance Agency in the past can review the firm’s Community Causes list from this page: http://www.rountreebradyinsurance.com/community-cause.